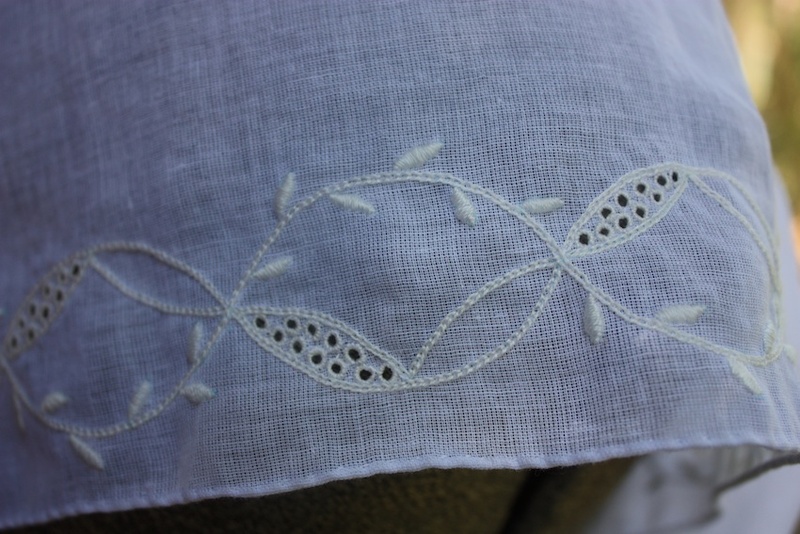 Since I have ventured into the world of whitework embroidery, making an embroidered fichu has been on my list of things to do. It is the sort of project that I figured could be started and still worn while the embroidery was being done. 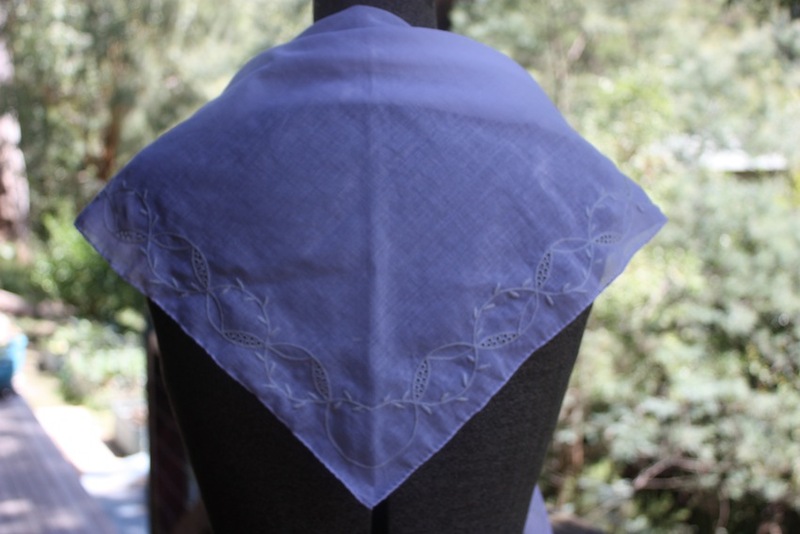 Fichus, also called neckerchiefs or kerchiefs, served a similar purpose to a Regency chemisette, which was to fill in the neckline of the gown. They were used through the 17th, 18th and parts of the 19th centuries. 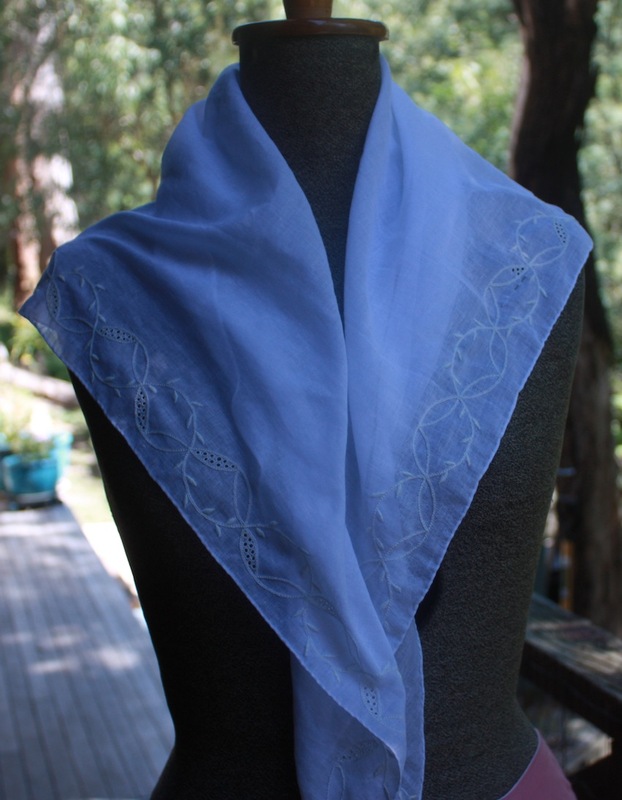 Kerchiefs were generally made from a sheer or lightweight fabric, either cotton, linen, silk or lace. They were often white and could be embroidered with whitework, but they could also be made from coloured or patterned fabric and embroidered with coloured threads. Eighteenth century fichus and neckerchiefs came in quite an array of shapes and sizes. Fichus could be long rectangles, a bit more like a shawl or a stole. One example I found was 53 inches long and another 114 inches long and 15 inches wide. 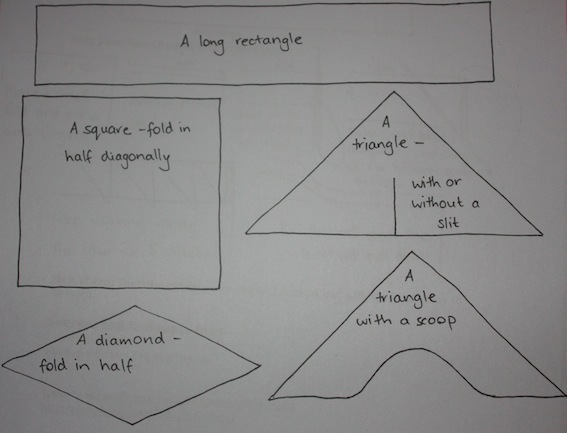 They could be made square, and then folded in half diagonally and put around the shoulders. 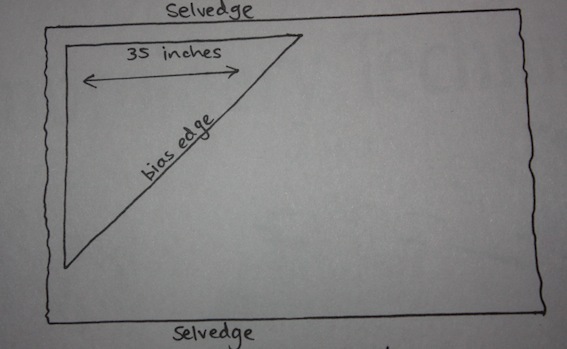 The sizes I found ranged from 30 to over 40 inches square. Kerchiefs could be triangular. They could have a slit to accommodate the neck area, or sometimes a scoop cut out for the neck. Sizes (along one straight edge) ranged from 28 inches to 76 inches, with the depth at the centre back ranging from a mere 5 inches to a rather deep 20 inches. They could be diamond in shape and, similarly to the square ones, were folded in half to be worn. 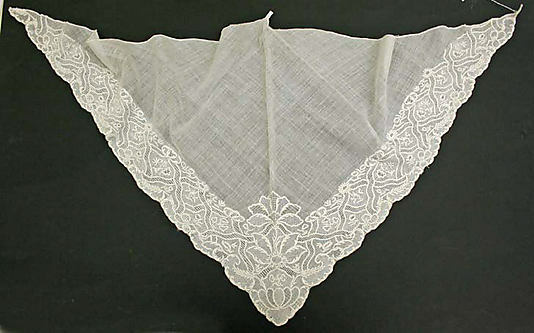 A variety of fichu or kerchief shapes. Fichus could be worn underneath the dress (as a chemisette is), or on top of the dress. They could be fastened with a pin or tucked into the stomacher or waistband. If long enough, they were crossed over in front, passed under the arms and then tied at the small of the back. The Oregon Regency Society has some additional shapes and diagrams of some of the ways they were worn. For my fichu, I cut a piece of white cotton muslin in a right-angled triangle, with each straight edge measuring 35 inches. Step One: I hemmed my triangle on all sides using a rolled hem. Some embroidered fichus were hemmed with a scalloped blanket stitch, but I thought that doing a rolled hem initially would enable this item to be worn immediately and any blanket stitch hemming could be done later if needed. Step Two: I decided on an embroidery pattern and drew out my pattern on a large sheet of paper, making sure I had several repeats of the pattern in the drawing. I laid (and alligator-clipped) the muslin over the top of the pattern and traced the drawing with an erasable fabric marker. 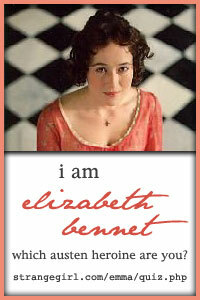 My inspiration was from some whitework on a 1780’s gown held in The Metropolitan Museum of Art museum. This design, with two intersecting lines of a semi-circular pattern that weaves back and forth to create “joined ovals”, was an extremely popular design in the 18th century. 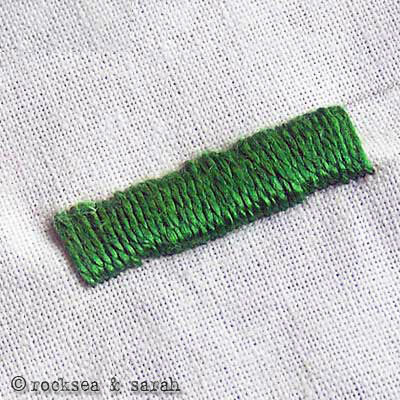 I used it in a similar way in my Embroidered Lawn Ruffles, using the edge of the scallop as one of the “lines”. 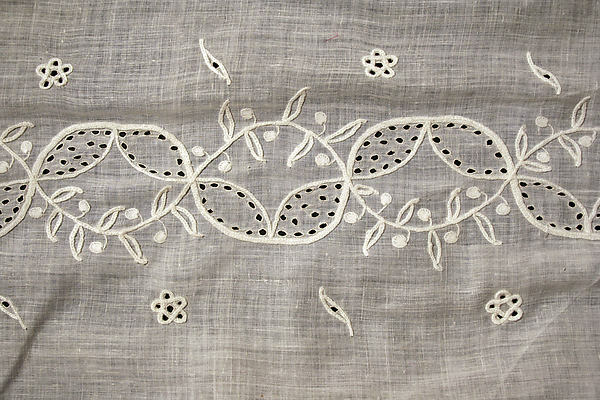 Whitework embroidery from a 1780’s gown. Source: The Metropolitan Museum of Art. 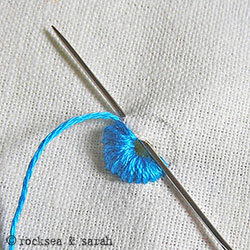 Step Three: I began the embroidery, using 1 strand of white DMC cotton. My technique was to embroider the whole length of the pattern with the major figures in the pattern, and then repeat with the more minor elements. 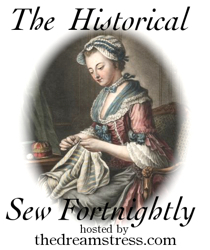 This meant that, at any given time, my embroidery was fairly balanced and my fichu could be worn even if the embroidery was not completed. The embroidery detail, showing chain stitches, satin stitches and overcast eyelets. The blank area opposing the eyelet filling will be worked with pulled stitches. 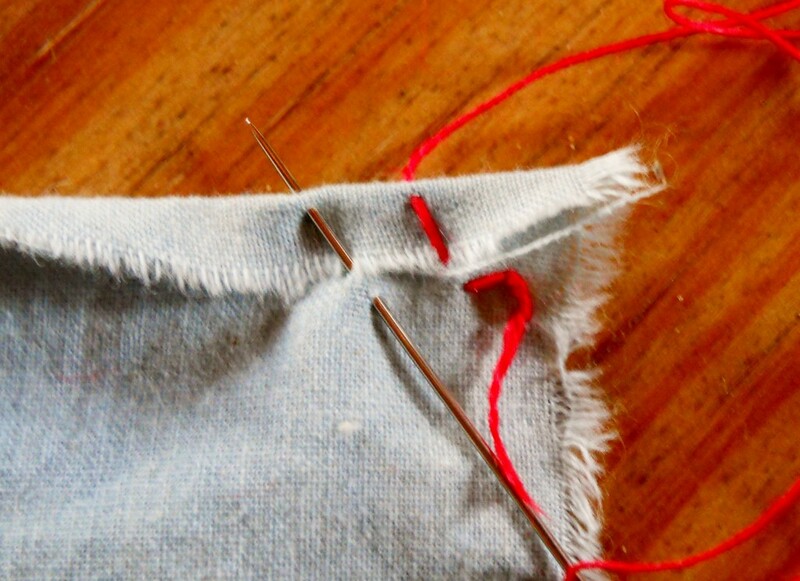 Eyelets: Usually pricked with an awl first (to make a wide enough hole) and then an overcast stitch sewn around the edges. Source: Rocksea & Sarah. Satin stitch: I found that doing an outline in running stitch was really effective in helping the final result to look good. Source: Rocksea & Sarah. These weren’t completed when the pictures were taken, but for more information on pulled work, you can visit my Pulled Work Embroidery Sampler pages. The back view; the embroidery is not complete at the centre back, as there will be a central motif there. I am quite pleased with it, even though I found the embroidery did get a bit tedious at times. I do find I have to be in the right “mood” for embroidery. And if I am not enjoying it I find it harder to keep motivated! I still have a bit to complete, but that will come. That is such a pretty piece of hand work – well done! Oh my goodness! That is absolutely gorgeous! Beautiful job!! 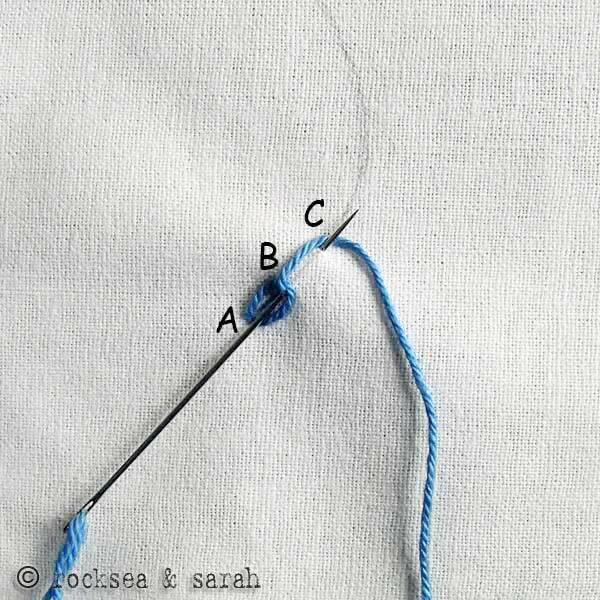 Great photo illustrations of the stitches, in particular how to make a rolled hem properly! Thank you. All of those pictures were taken from other websites, as there was no need to ‘reinvent the wheel’! The sources are listed at the bottom of the post. Glad you found it helpful!